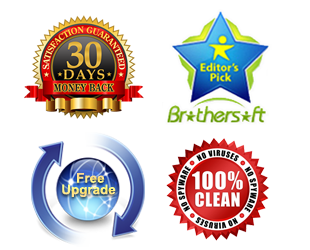 HDFormatConverter provides best service to help you successfully install and use our products. We will try our best to help you. Please do not hesitate to contact us. Hdformatconverter.com takes administrative, technical and physical measures to prevent customer’s information from loss, misuse and theft, along with an authorized access, disclosure, alteration and destruction. Hdformatconverter.com uses secure server hosted by RegNow, PayPal and other 3rd party credit card processors which encrypt all the customer’s personal information containing name, address, credit card number, credit expiration date, etc. before it is sent to us. And your credit card information is only used for online transition. Rip BD and DVD to any popular video and audio for Android and Apple devices. Edit video with powerful editing functions. NVIDIA CUDA and AMD APP acceleration technology. Support almost all popular devices like New Nexus 7, Galaxy Tab 3, iPad Mini, Kindle Fire HD, Nook HD, Galaxy S4 and Sony Xperia Z etc. Blu-ray Ripper is an all-inclusive tool for handling both Blu-ray and DVD discs. It’s the best Blu-ray Ripping software. This Blu ray Ripper could help you rip Blu ray disc or rip Blu ray movies to various video files, e.g. rip Blu ray to MKV , Blu ray to AVI, Blu ray to MP4, etc. Blu-ray Ripper is mainly used to convert Blu ray to HD and common video formats like M4V, AVI, MP4, WMV, FLV, MPEG, MOV, MKV etc; to edit Blu-ray and DVD via cropping, trimming, watermarking function; to convert 2D Blu-ray/DVD to 3D video; to transfer Blu-ray DVD for playback on media players, tablets and smartphones. Blu-ray Ripper can rip Blu ray movie and DVD movie from disc and file folders, make some customizations and convert the Blu-ray/DVD movie to various formats for diverse demands: AVI, MP4, M4V, WMV, MPEG, MOV, FLV, MKV up to 1080p HD resolution. Not only convert blu ray to video, but this Blu ray ripper also helps rip Blu ray to MP3, AAC, and other audio file formats. This Blu ray Ripper program offers plenty of optimized profiles as efficient shortcut to rip Blu-ray movie to play on iPad Mini, iPhone 5, New Nexus 7, Xperia Z, Nook HD, Kindle Fire HD, Xbox One, PS4, Archos, Galaxy S4, Galaxy Tab 3, Creative Zen etc. Blu-ray Ripper provides tha popular 2D to 3D conversion ability, which could help you easily convert 2D Blu-ray/DVD to 3D video to let you freely watch 2D Blu-ray/DVD in 3D effect on varoius 3D players. You can trim video length, crop video size, adjust video effect and add image or text watermark to the source Blu-ray/DVD files for converting in Edit panel. To meet target devices exactly, Blu-ray Ripper allows you to modify output profile parameters including video codec, audio codec, video size, bit rate, aspect ratio, frame rate, etc. This Blu-ray ripper adopts unprecedented technology to ensure the synchronization of video and audio upon Blu-ray movie conversion output. The program is very flexible in meeting the needs to get Blu-ray movie to play on monitor with 4:3, 16:9 or other aspect ratio. You can preview the source video and edited video with the built-in player. If you like the current image of the video you can use the “Snapshot” option to take a snapshot of the film and save it as a picture file. This Blu-ray Ripper possesses a user-friendly interface, which can bring you much convenience. This Blu-ray Ripper adopts the NVIDIA® CUDA™ and AMD APP technology, which could provide you with super high conversion speed. And it completely supports multi-core processor. How to import/edit/transcode 3D AVCHD/MTS to FCP X?